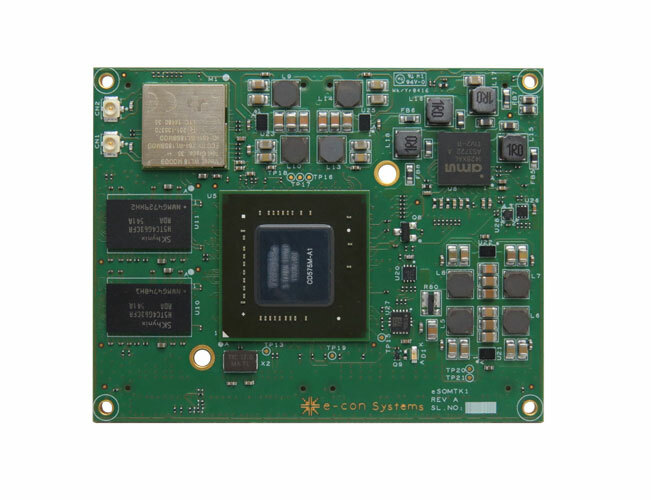 Our Tegra K1 SOM, eSOMTK1 is based on NVIDIA Tegra® K1 CPU in a compact form factor. 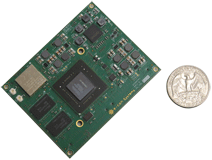 This Tegra K1 Module has NVIDIA Tegra® K1 4-Plus-1™ ARM® Cortex™-A15 Quad core running at 2.2GHz with DDR3L SDRAM configurable up to 4GB, eMMC configurable up to 64GB. 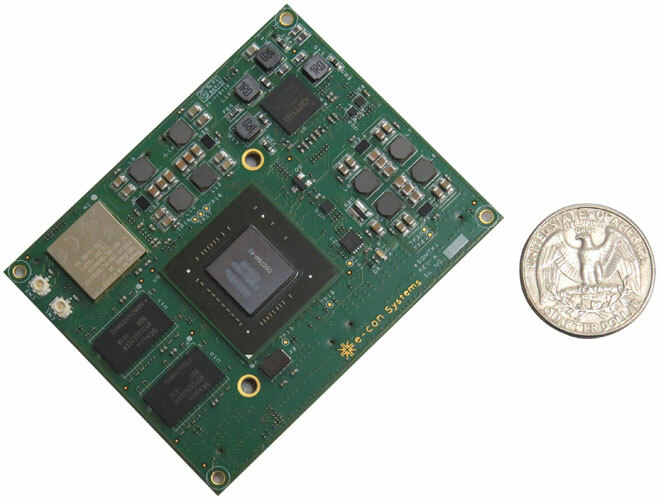 Tegra SOM integrates Wi-Fi and Bluetooth module. TK1 SOM comes in a compact form factor with various configurations and OS support enabling customers to focus on their application design. The CPU board exposes the complete range of interfaces provided by the Tegra K1 Processor through its connectors, so that the customers can get the complete functionality without going through the complex design requirements of the processor sub system including memory and power manager. Inertial Measurement Unit (IMU) for 3D gyroscope & 3D acceleration. 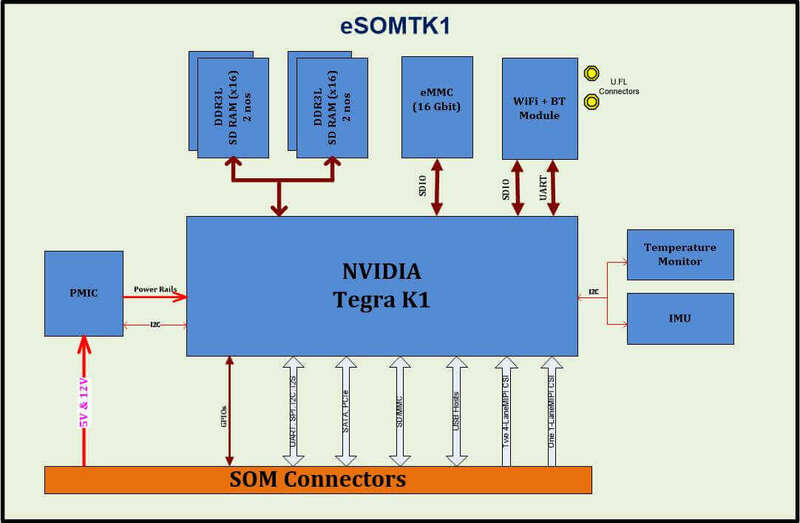 e-con provides a Rapid development kit for eSOMTK1 called Propus - Tegra K1 Development kit. 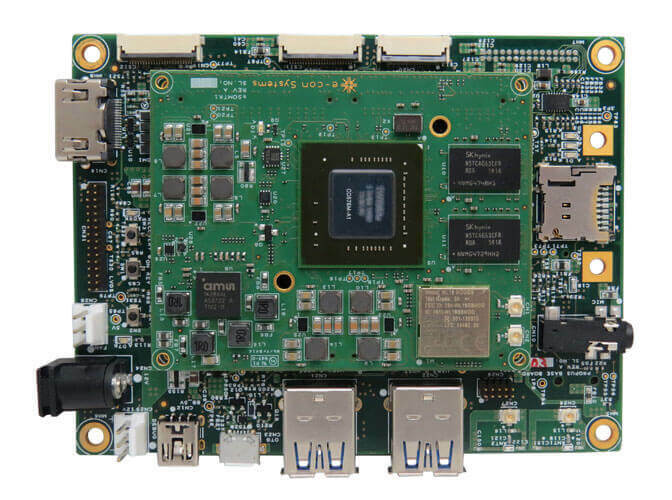 This ARM board features a carrier board around the eSOMTK1 Module with various peripherals support. e-con Systems provides Linux / Android BSP with device drivers for all the peripherals. eSOMTK1 can be customized with the following configuration. x-variants can be chosen from the following eSOMTK1 Part Number Decoding Table. eSOMTK1-F16G-R2G-WB-IM and eSOMTK1-F16G-R2G-WB-IM-IT are available for samples from webstore. For the other configurations, the Minimum order quantity (MOQ) is 100. please contact sales@e-consystems.com for more information.